Fluidigm is a leading global provider of innovative technologies and life science tools designed to revolutionize biology. With their diverse range of consistent quality, higher throughput, intuitive interfaces products with minimal hands on time they are able to fulfill their customers needs. 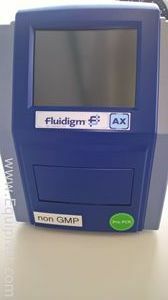 EquipNet continuously receives used Fluidigm equipment through our exclusive contracts with our clients. Our inventory includes but is not limited to Fluidigm FC1 Thermal Cycling System worth Qty 2 Biomark IFC AX BMK-IFC-AX Controllers. If you do not see the Fluidgm equipment you are looking for, contact one of our representatives and we will find it for you. We can also source the right tooling and change parts that you need through our huge network of corporate clients from around the globe.